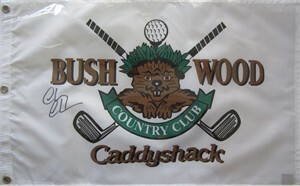 Golf pin flag from the fictitious Bushwood Country Club made famous/infamous by the movie Caddyshack with logo incorporating the cute but destructive Gopher, autographed in black marker by actor Chevy Chase who starred as Ty Webb in the classic comedy. 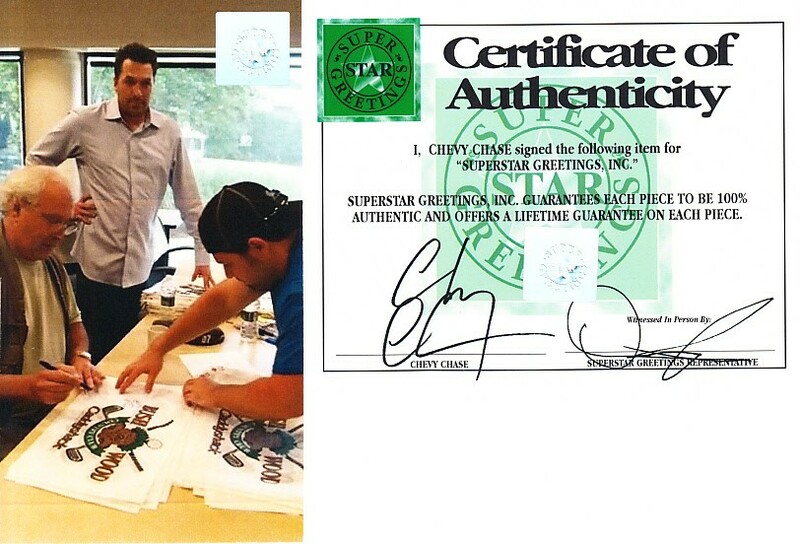 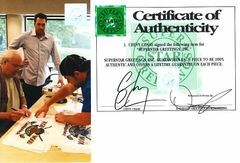 From a private signing with by Superstar Greetings, authenticated with their holograms on the flag, photo from the signing and certificate of authenticity. 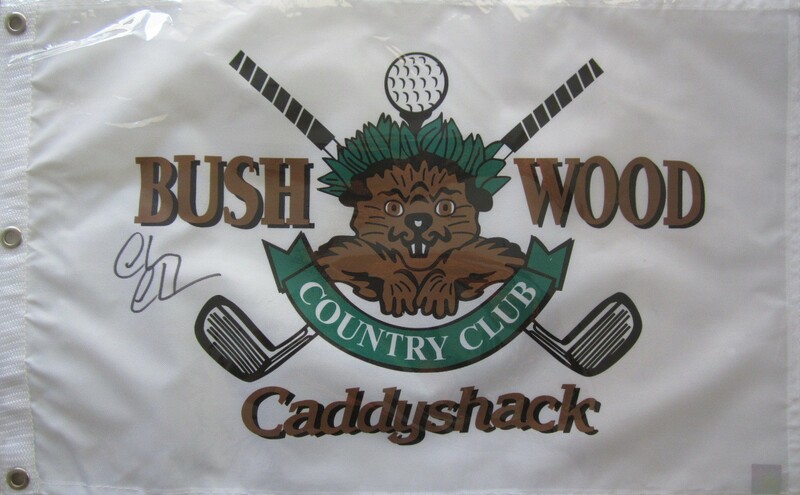 NOTE: signature and location will vary SLIGHTLY as we obtained multiple flags from this signing.